With just the scent of lavender I am transported. 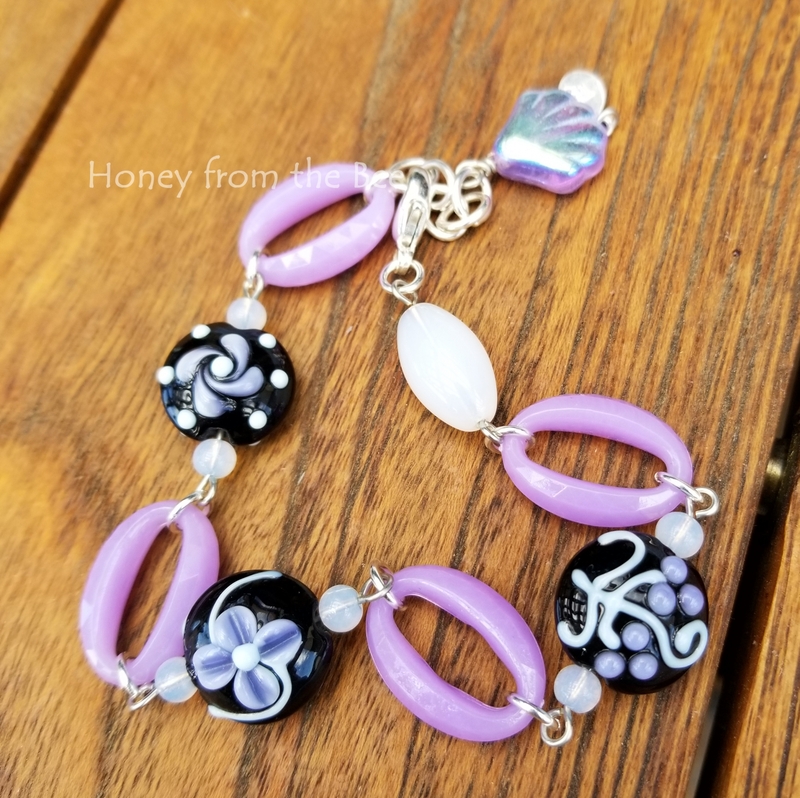 The black in these lampwork beads makes the lavender and pale blue pop! Bracelet is adjustable for 7-8" wrist. Remember you want your wrist to be less than this so it's not tight. 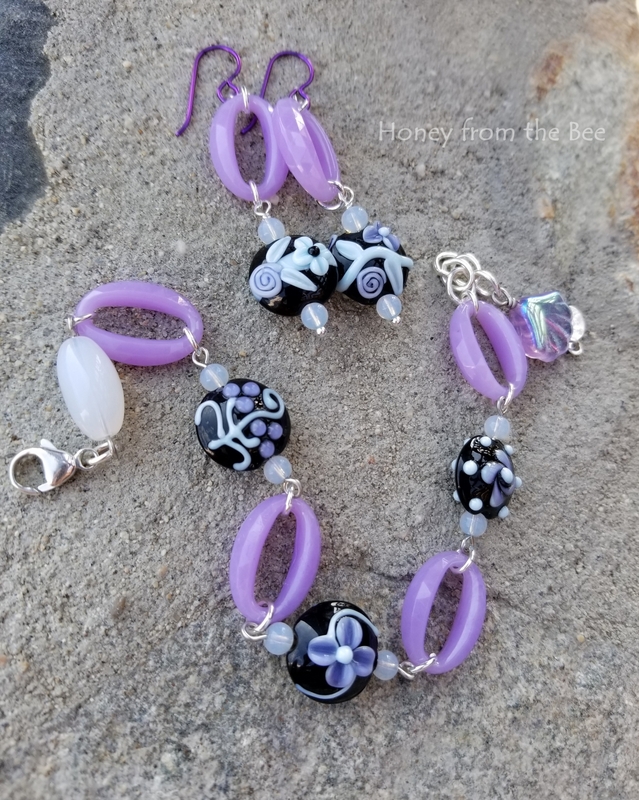 Earrings are available separately here!